The challenge was pretty simple and so I decided to keep it simple and use patterns that reminded me of Christmas wrapping paper. 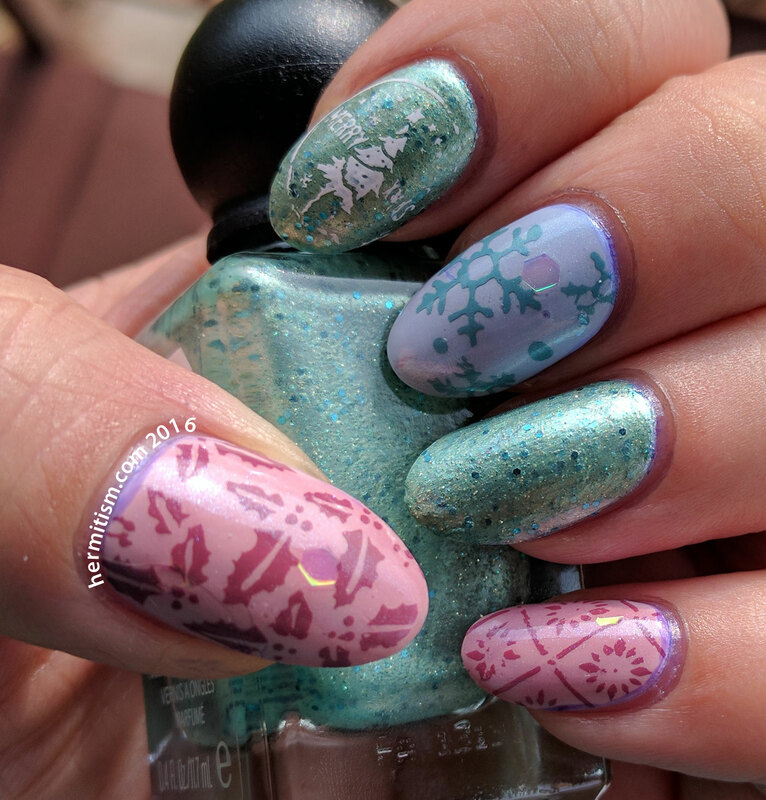 I dug through my nail plates and found a few Christmas-specific patterns and a few that fit given the right colors and surroundings. In contrast to my nails, I only have one roll of wrapping paper to my name. It’s a thick, handsome, two-tone blue from Hobby Lobby. Given the right accessories, I can sorta squeak by using it outside of Christmas and when that doesn’t fit, we use bags or don’t wrap things at all. Laziness is wonderful. And it saves trees. You may notice the purple halo by my cuticles. I had my hair dyed recently and didn’t think to take my photos before I washed it. Lesson learned. Very cute! I love that Wintermint polish, and I need to remember to try to incorporate it into some nail art this winter because it’s such a perfect winter color! 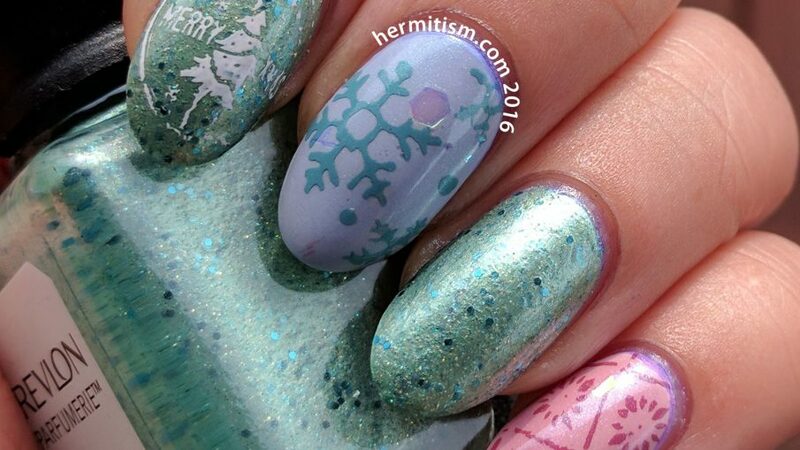 I also really like how that teal polish looks stamped over the light purple. It looks like a pattern you would find in the wrapping paper islemfor sure!